Click on the titles below to expand or shrink the lists. What services does the District offer? What is a safe yield? What should I know about water meters? What are my responsibilities as a water permit/right holder? The District Can help you with any water right related service. Is water available for appropriation in my area? Apply for a Safe Yield and find out. A safe yield evaluation is a preliminary 'no guarantees' evaluation to see if there is legally water available for a water permit. limit one request per week. Safe Yields are free to District members. Safe yield results can change unexpectedly at a moments notice. You can submit a safe yield request via email, phone, or in person. Be sure to include the Section, Township, Range, and property owner of where you are interested. Please read the following Basic water meter requirements. Registration Accuracy -The water meter shall be calibrated at the factory and shall be certified to register not less than 98 percent nor more than 102 percent of the actual volume of water passing the meter. This requirement shall be met throughout the meter's normal operating range. Meter Body, Register and Indicator - The water meter shall be designed and constructed to: * maintain the required accuracy; * be protected by a tamperproof manufacturer's seal; * clearly indicate the direction of water flow; * clearly indicate the serial number of the water meter; * have a weatherproof register that is sealed from all water sources; * have a register that is readable at all times; * be able to be sealed by an authorized representative of the Chief Engineer to prevent tampering or removal of the meter; * be equipped with a manufacturer approved measuring chamber or tube through which all water flows: * be equipped with flow straightening vanes, installed at the upstream throat of the water meter chamber or tube; * be equipped with an inspection port if the straightening vanes are not designed, constructed and installed by the manufacturer; * remain operable without need for recalibration to maintain accuracy throughout the meter life; * have a totalizer that: - is continuously updated to read directly in acre-feet, acre-inches or gallons - has sufficient capacity, without cycling past zero more than once each year; - reads in units to discriminate annual water use to within the nearest 0.1 percent of the total annual permitted quantity; - has a direct read dial or a counter that can be timed to accurately determine the rate of flow; and - has a nonvolatile memory. The meter shall be installed in accordance with the manufacturer's instructions and in such a manner to insure full pipe flow and normal operating flow range at all times while water is being pumped. The meter shall be installed at a location that will measure all water diverted from the source of supply. The meter shall be placed in the line with a minimum of 5 pipe diameters of straight pipe without flow obstructions upstream of the meter sensor and at least 2 pipe diameters of straight pipe without flow obstructions downstream of the meter sensor. Where manufacturer's specifications are most stringent, they shall govern. Important Note: Some meter manufacturers require more than 5 pipe diameters of upstream-unobstructed straight pipe, and may require additional unobstructed downstream straight pipe. For additional information on specific manufacturer's installation requirements, contact the Equus Beds Groundwater Management District. Please contact District staff if you have any additional questions about water meters. You are responsible for the upkeep of your own meter if you are the Landowner. The water user must: a) select the proper size, pressure rating, water meter style, and meter operating range to fit the installation; b) properly install the water meter in accordance with the District's requirements and the manufacturer's instructions; c) maintain the water meter in an operating condition at all times during diversion of water; and d) ensure the water meter measures the total discharge from the well and does not measure any other discharge. District Members are eligible to have meters serviced and repaired at our office. Example of a typical Meter Installation. There must be an unobstructed straight run of pipe upstream of the meter propeller sufficient for turbulent water to settle down to smoother flowing conditions. Any exaggerated jetting action or adverse flow restrictions upstream may need additional unobstructed straight run for proper meter operation. Flow straightening vanes are installed directly in front of the meter propeller in the required manufacturer's measuring chamber or tube (see figure 1). Installations in non-jetting flow conditions after pump discharges, pipe bends, heat exchangers and other non-jetting flow mechanisms, require a minimum of 5 pipe diameters of unobstructed straight pipe upstream of the front of the meter propeller. What is the Assessment rate? Who can be a member of the District? Currently $1.10 per acre-foot of permitted water and $0.05 per acre of land that is greater than or equal to 40 contiguous acres. Minimum requirements: 40 contiguous acres of land within District Boundaries or own a water permit within District boundaries. Talk to District staff or a board member for further details. The Equus Beds Groundwater Management District No. 2 is located in south central Kansas and underlies portions of McPherson, Harvey, Reno and Sedgwick counties. It is 878,720 acres in size and includes: 167,680 acres in western Harvey County; 140,160 acres in southern McPherson County; 460,800 acres in eastern Reno County; and 110,080 acres in northwestern Sedgwick County. The District lies exclusively within the eastern most region of the Great Bend Prairie physiographic province, except for its eastern edge which is in the Flint Hills Upland province. The climate is best described as sub humid. Important geologic features impacting the area include the Rocky Mountains and the Gulf of Mexico. The mountains to the west prevent major rainfall from Pacific fronts, and the Gulf of Mexico is the source of much of the District's precipitation. In this region, masses of warm, moist air from the Gulf collide with the cold dry air from the Arctic region to create a wide range of weather conditions. Summers are usually warm and humid, but can also be very hot and dry. The winters are usually mild, with brief periods of extremely cold weather. The mean annual temperature in the District is 56 degrees Fahrenheit. The highest and lowest recorded temperatures at two stations are 117 degrees Fahrenheit and -27 degrees Fahrenheit at McPherson, and 114 degrees Fahrenheit and -22 degrees Fahrenheit at Wichita. The average date of the last killing frost ranges from April 6 in the southern part of the District to April 22 in the northern part. The average date of the first killing frost in the fall is October 16 in the northern part of the District and October 31 in the southern part. The average growing season ranges from 177 to 208 days. Most precipitation is in the form of rain with smaller amounts coming from snow or sleet. Historical precipitation records show the wettest years receiving over 50 inches and the driest years receiving less than 15 inches. Seventy percent of the annual rainfall occurs from April through September. Total annual rainfall averages about 30 inches with the south and east portions of the District having slightly more and the north and west slightly less. Amounts of rain falling during one storm are variable but seldom exceed two inches during a twenty-four-hour period. Frequency of rainfall also varies. Normally, at least 0.1 inch is received in a three week period. Brief, severe thunderstorms are quite common in the spring and summer and are usually accompanied by heavy rain, high wind or large hail. Annual snowfall is normally 15 inches, falling periodically from December through March. However, monthly snowfalls in excess of 20 inches and 24-hour snowfalls of more than 13 inches have been recorded. Although snowfall adds little recharge to the aquifer, it is of considerable value for the protection it can offer to exposed cropland by providing insulation and reducing evaporation by winter winds. The nature or type of snow ranges widely but it is generally accepted that 12 inches of snow is the equivalent of one inch of rain. Prevailing wind direction is from the south with the windiest period from March to April. July has the least wind. Wind speed averages about 12 m.p.h. with March and April averaging 14 m.p.h. Strong north winds occur from late fall through early spring and are associated with cold fronts. As a process, evaporation is influenced by moisture, temperature and wind. The rate of evaporation in the District increases from east to west. The free-water-surface evaporation ranges from 52 inches along the eastern side to 56 inches on the western side. The average annual rate for the District is 54 inches a year. The relatively high mean wind speed enhances evaporation during the summer. Evaporation continually replenishes moisture in the air, and humidity becomes apparent during periods of low wind velocity. Relative humidity tends to cycle through the day, rising at night, decreasing during the day, then increasing again until the following morning. Long-term records show a mean relative humidity of 73 percent at 12:00 midnight, 80 percent at 6:00 a.m., 56 percent at 12:00 noon and 55 percent at 6:00 p.m. The District's surface topography is mainly a flat plain whose surface is modified by the presence of sand dunes, shallow depressions, rivers and their tributaries. A major belt of sand dunes extends southeastward from Rice County across Reno County between the northern edge of the Arkansas River Valley and the Little Arkansas River to an eastern terminus northeast of Burrton in Harvey County. Smaller isolated sand dunes are located between Kisiwa Creek and the Arkansas River and east of Halstead. Land surface elevations range from a low of 1,200 feet above sea level in the southeast near Wichita to a high of 1,650 feet above sea level near Hutchinson in the northwest. The area was once prairie with robust stands of native grasses. Originally trees were limited to flood plains and river bottoms due to fire, foraging and moisture limitations. The fertile soils and climate makes the area ideal for conversion from native grasses to food and feed grains. Soils mapping by the Natural Resources Conservation Service identifies Lancaster-Hedville-Edalgo, Ladysmith-Goessel, Pratt-Carwile, Farnum-Shellabarger and Bethany-Tabler as the major soil associations occurring in the District. County soil surveys published by the Natural Resources Conservation Service in cooperation with the Kansas Agricultural Experiment Station describe these major soil associations. Lancaster-Hedville-Edalgo Association: Moderately deep and shallow, moderately sloping and strongly sloping, well drained and somewhat excessively drained soils that have a loamy or silty subsoil; on uplands. This association is on the tops and sides of ridges dissected by entrenched drainage ways in McPherson County. It is about 35 percent Lancaster soils, 16 percent Hedville soils, 11 percent Edalgo soils and 38 percent minor soils. The association is used mainly as range. Some of the less sloping areas are used for cultivated crops, including wheat and grain sorghum. 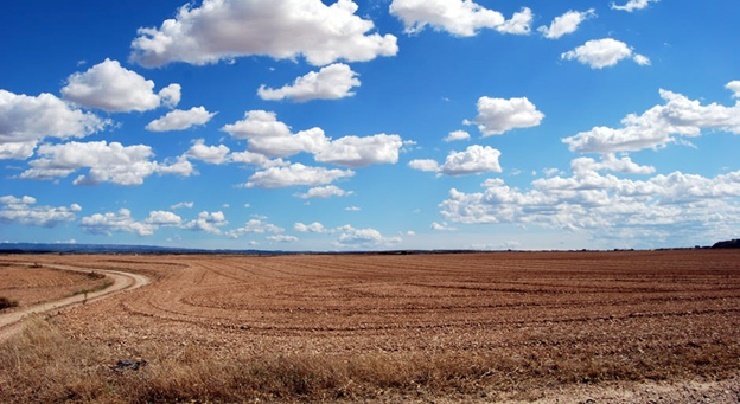 Controlling erosion and conserving moisture are the main management needs in cultivated areas. Ladysmith-Goessel Association: Deep, nearly level and gently sloping, moderately well drained soils that have a dominantly clayey subsoil; on uplands. This association is on broad ridges and narrow side slopes dissected by drainage ways and creeks. It is about 80 percent Ladysmith soils, 15 percent Goessel soils and five percent minor soils. The association is located in the southwest part of McPherson County and extends southward into Harvey County. Wheat and grain sorghum are the chief crops grown on the association. Measures that help to control water erosion and conserve moisture are the main management needs. Pratt-Carwile Association: Deep, nearly level, imperfectly drained soils that have a clayey subsoil and well-drained, sandy, hummocky soils. The areas of this association are in the western and northeastern part of Reno County, extending into Harvey County. About 40 percent of the association is Pratt soils, about 35 percent is Carwile soils, about 20 percent is Naron soils and about five percent is Tivoli soils. In most of the association, the soils are cultivated, but the Tivoli soils are mainly in grass. Grain sorghum and wheat are commonly grown in the cultivated areas, but sorghum is better suited than wheat because of the hazard of wind erosion. Farnum-Shellabarger Association: Deep, brownish, loamy soils over somewhat sandy or gravelly material on sloping and dissected out washed plains. This association occupies a large area through the central part of Reno County. Deep Farnum and Shellabarger soils make up about 75 percent of this association; Albion soils that are shallow over gravel make up about 10 percent; and Carwile and Pratt soils and breaks and alluvial land along drainage ways make up the rest. Wind and water erosion are a hazard on the soils of this association. Also, the Albion soils are droughty. Small grains, sorghum and alfalfa are grown on this association, and much of the acreage of Albion soils has been seeded to native grass. The areas of breaks and alluvial land along small streams are mostly in native grass. Bethany-Tabler Association: Deep, dark, nearly level to gently sloping, loamy soils that have a clayey subsoil. Nearly level or gently sloping, dark soils are in this association. The soils are loamy and have a clayey subsoil. The association occupies a portion of southeastern Reno County, extending into Sedgwick County. Bethany and Tabler soils make up about 90 percent of this association. Deep, reddish Smolan soils and deep, brownish Vanoss soils make up about ten percent of this association. The Smolan and Vanoss soils are steeper than the Bethany and Tabler soils and occupy slopes along the valley of the Little Arkansas River. The Smolan soils are especially susceptible to water erosion. Wheat, sorghum and alfalfa are commonly grown on this association. The bedrock surface underlying the younger unconsolidated deposits in the District is formed on rocks of the Nippewalla and Sumner Groups, both of Lower Permian age. The Harper Sandstone (Nippewalla Group) forms a bedrock surface along the extreme western edge of the District in Reno County. It subcrops along a line between Range 7 and 8 west. The Harper Sandstone consists of brownish-red siltstone and silty shale with a few thin beds of silty sandstone. It may yield no water or as much as 100 gallons per minute to wells. The water may be of poor chemical quality. To the east of the Harper Sandstone, rocks of the undifferentiated Stone Corral Formation and Ninnescah Shale (Sumner Group) comprise the bedrock surface in Townships 18, 19 and 21 through 23 South, Range 4 West, and Townships 24 through 26 South, Ranges 3 and 4 West. The Stone Corral Formation consists of anhydrite and gypsum while rocks of the Ninnescah Shale consist of soft to hard, red to grayish-green shale, siltstone, and very fine grained silty sandstone. The Stone Corral Formation is not known to yield water to wells. The Ninnescah Shale may yield water of fair to poor chemical quality to wells located in outcrop areas in southeastern Reno County. The eastern portion of the District was formed on rocks of the Wellington Formation (Sumner Group). The Wellington Formation is divided into three distinct units. The lower Wellington member is sometimes referred to as the "anhydrite beds". It consists of gray shale, and some dolomite with thing anhydrite and gypsum beds. The middle unit or Hutchinson Salt Member consists of salt interbedded with small amounts of shale, gypsum and anhydrite. The salt unit averages about 300 feet in thickness. The upper Wellington member is in contact with the Ninnescah Shale. The upper member consists mainly of gray shale with small amounts of gypsum, anhydrite, dolomite and sandstone. Two major channels known as the McPherson and Ancestral Arkansas River Channels were cut into the bedrock surface by rivers or streams during late Pliocene and early Pleistocene time. The McPherson Channel extends southward from McPherson County to southeast of Hutchinson where it converges with the Ancestral Arkansas River Channel. The ancestral river in the McPherson Channel was captured by the Smoky Hill River to the north. After the capture, the river in the Ancestral Arkansas River Channel became the dominant river, entering the northwestern edge of the District and flowing southeastward. A bedrock ridge or high is located just north of the Ancestral Arkansas River Channel and trends northwest to southeast terminating just south of Burrton. A saddle was formed in the ridge at the confluence of the McPherson and Ancestral Arkansas River Channels. The Arkansas River and its tributaries are the principle drainage system in the District. A major tributary of the Arkansas River is the Little Arkansas River that flows through the central part of the District. The southwestern part of the District is drained by the North Fork Ninnescah River, also a tributary of the Arkansas River. A small area in the extreme northern part of the District is drained by tributaries of the Smoky Hill River, a part of the Kansas River system. Surface drainage is chiefly to the southeast, except for the area that is drained to the north by tributaries of the Smoky Hill River. Other tributaries to the Arkansas River are Cow, Salt, Big Slough and Cowskin creeks. Tributaries to the Little Arkansas River are Kisiwa, Emma, Blaze Fork, Turkey, and Black Kettle creeks; tributary to the North Fork Ninnescah is Red Rock Creek; tributaries to the Smoky Hill River are Paint, Sharps and Indian creeks. The U. S. Geological Survey in cooperation with the state of Kansas maintains and collects data from several stream flow-gauging stations. Little Arkansas River at Alta Mills (Station #07143665): This station has a drainage area of 736 square miles with 55 square miles non-contributing. Its period of record is from June of 1973 to the present and the gauge used is a water-stage and groundwater level recorder and is equipped with satellite telemeter. The average discharge for the period from 1973 to 1991 was 189 cubic feet per second or 137,100 acre-feet per year. The streamflow extremes range from a maximum of over 30,100 cubic feet per second in October of 1973, to a minimum of 0.0 cubic feet per second in August of 1991. Little Arkansas River at Sedgwick (Station #07144100): This station was established in the fall of 1993. The gauge is a water-stage and groundwater level recorder and is equipped with satellite telemeter. Basic and statistical data were not available, due to period of record. Little Arkansas River at Valley Center (Station #07144200): This station has a drainage area of 1,327 square miles with 77 square miles non-contributing. Its period of record is from June 1922 to the present. The gauge is a water-stage and groundwater level recorder and is equipped with satellite telemeter. The average discharge for the period from 1922 to 1991 was 284 cubic feet per second or 205,600 acre-feet per year. Streamflow extremes for this station range from a high of 32,000 cubic feet per second in April of 1945, to a low of 1.1 cubic feet per second recorded in October of 1956. Arkansas River near Hutchinson (Station #07143330): The drainage area for this station is 38,910 square miles with 7,186 square miles non-contributing. The period of record is from October 1959 to the present. The gauge is a water-stage and groundwater level recorder and is equipped with satellite telemeter. The station is located about three miles north of Haven. Average discharge for the period from 1959 to 1991 was 512 cubic feet per second or 370,800 acre-feet per year. Extreme flows for this station range from a maximum of 24,700 cubic feet per second in September of 1973, to a minimum of 27 cubic feet per second in October of 1980. Arkansas River near Maize (Station #07143375): The river at this point drains 39,110 square miles of which 7,186 square miles is non-contributing. The period of record is from March 1987 to the present. The gauge is a water-stage recorder. The average flow for the station for the period from 1987 to 1991 was 222 cubic feet per second. The maximum streamflow recorded was 14,300 cubic feet per second in March of 1987, and a minimum flow of 3.5 cubic feet per second in October of 1991. Arkansas River at Derby (Station #07144550): This station is outside the District and has a drainage area of 40,830 square miles with 7,263 square miles non-contributing. The gauge for the station is a water-stage recorder and is equipped with satellite telemeter. The period of record is from October of 1968 to the present with an average discharge for the period from 1968 to 1991 of 1,053 cubic feet per second or 762,800 acre-feet per year. Streamflow extremes for the period are a high of 43,400 cubic feet per second in October of 1973, and a low of 83 cubic feet per second in October of 1991. North Fork Ninnescah River above Cheney Reservoir (Station #07144780): The drainage area for this recording station is 787 square miles with 237 square miles non-contributing. The gauge is a water-stage recorder and it is equipped with satellite telemeter. Records have been maintained on the station from 1965 to the present. Average discharge for the period was 145 cubic feet per second or 104,800 acre-feet per year. Extreme flows vary from a high of 39,700 cubic feet per second in October of 1979, to a low of 0.0 flow in July of 1966 and again in August of 1968. North Fork Ninnescah River at Cheney Dam (Station #07144795): This station is located 1,400 feet downstream from Cheney Dam and is subject to considerable artificial control. It is located outside District boundaries. The drainage area is 901 square miles with 237 square miles non-contributing. Records have been maintained from October of 1964 to the present. The gauge is a water-stage recorder. Average streamflow for the period of record was 112 cubic feet per second. The maximum discharge during that time was 1,910 cubic feet per second in April of 1969, and the minimum discharge recorded was no flow at various times through out the period of record. Cheney Reservoir is the only major reservoir in the District. The reservoir dam was completed in 1964 on the North Fork Ninnescah River in southeastern Reno County. It is a compacted earthfill dam and is used for supplemental water supply for municipal and industrial uses in the City of Wichita, fish and wildlife conservation, flood control and recreational purposes. Total capacity is 566,300 acre-feet. The U. S. Geological Survey, in cooperation with the State of Kansas, maintains and collects data from a water-stage recorder at the reservoir. Cheney Reservoir near Cheney (Station #07144790): The drainage area for this recording station on Cheney Reservoir extends over an area of 901 square miles of which 237 square miles is considered non-contributing. Records have been maintained on this station from November of 1964 to the present. The gauge is a water-stage recorder and it is equipped with satellite telemeter. Storage of water in the reservoir began in November of 1964. Extremes for the period from 1964 to 1991 range from a maximum elevation of 1,429 feet containing 250,300 acre-feet in November of 1979, to a minimum elevation 1,412 feet containing 93,300 acre-feet in December of 1971. USE The Little Arkansas River and its tributaries are the chief source of water for irrigation use. About 22 diversion points on the Little Arkansas River and its tributaries diverted 735 acre-feet for irrigation use in 1992. The North Fork Ninnescah River supplies Cheney Reservoir with water for municipal and industrial use. The City of Wichita is the reservoir's single water user. Municipal and industrial use for the period from 1989 to 1993 averaged 25,400 acre-feet. Extremes for the period ranged from a high of 29,114 acre-feet in 1990 to a low of 20,733 acre-feet in 1992. Less than 200 acre-feet were diverted from the North Fork Ninnescah for irrigation and recreational use. The Equus Beds aquifer is part of a regional aquifer system known as the High Plains aquifer system. The regional aquifer extends into Colorado, Nebraska, New Mexico, Oklahoma, South Dakota, Texas and Wyoming. The Equus Beds aquifer forms the eastern most portion of the regional aquifer system in Kansas. It derives its name from Equine fossils found in unconsolidated deposits underlying the entire District. The Equus Beds aquifer was formed during the Quaternary Period between 700,000 to 1,000,000 years ago. Depositional, erosional and structural processes were the main forces that formed it. Erosion from through-flowing rivers or streams and subsidence from the solution of portions of the underlying Hutchinson Salt member reshaped the ancestral land surface. Deep troughs or channels were cut into bedrock. Later deposition by streams, rivers and wind filled the channels with unconsolidated deposits of clay, silt, sand and gravel. The thickness of the deposits range from 300 feet in the McPherson Channel to almost 350 feet in the Ancestral Arkansas River Channel. The portions of the unsaturated deposits were later saturated with water from rainfall, rivers and streams to form a groundwater reservoir known as the Equus Beds aquifer. Depth to groundwater below land surface ranges from less than ten feet to 110 feet. Depth to water in the northern portion of the District is greater and ranges from 40 feet to 110 feet; in the southern portion it is less, ranging from less than ten to 40 feet. The water table gradient varies in the District from less than four feet per mile to as much as 17 feet per mile. In general, the regional gradient is about five to six feet per mile. Groundwater flow is perpendicular to water table contour lines. The direction of flow varies in the District. In the southern part of the District, regional flow is southeasterly; in the northeastern part, flow is south to southwest; in the extreme northern part of the District in McPherson County, flow is northwest; and flow in northeastern Reno County is to the northeast. Groundwater velocity or movement is very slow and ranges from 300 feet to 500 feet a year. The saturated thickness of the Equus Beds aquifer ranges from less than 50 feet to 300 feet. Areas of greatest thickness correspond to the McPherson and Ancestral Arkansas River bedrock channels. Areas of least thickness are associated with highs or ridges in the bedrock surface. Recharge is a continuous process that adds water directly to the aquifer. Several natural sources of water make up the total recharge supply for the Equus Beds aquifer. Of these sources, precipitation contributes the greatest amount to groundwater recharge. Annually, 30 inches of precipitation fall on the land surface overlying the Equus Beds aquifer. Due to geologic, hydrologic and climatic conditions, about 80 to 90 percent of annual precipitation will either drain into streams or rivers, evaporate back to the atmosphere or be used by plants or people. Factors which affect the rate which precipitation is recharged include surface topography, vegetation, temperature, evaporation, soil properties, subsurface conditions and depth to aquifer’s water table. Throughout the southern two-thirds of the District, recharge conditions are favorable with 20 percent or six inches of precipitation returned to aquifer annually. In the northern one-third, conditions are less favorable and only 10 percent or three inches of annual precipitation recharges the aquifer. Groundwater discharges are continuous natural and man-made processes including outflow, baseflow, evaporation, transpiration, and withdrawals by wells. The Equus Beds aquifer loses water to adjacent aquifers in the southeastern and extreme northern portions of the District, as groundwater moves laterally from the aquifer. Baseflow is groundwater that seeps, flows or is naturally discharged from the aquifer to rivers or streams. Baseflow conditions exist when the water table is higher than the water level in the rivers or streams. Previous studies by the Kansas and U.S. Geological Surveys, concluded that low flows in the Arkansas, Little Arkansas, and the North Fork Ninnescah Rivers are maintained by discharge from the Equus Beds aquifer. The Little Arkansas River obtains about eight percent of its total flow from baseflow, amounting to 18,000 acre-feet per year discharged from the aquifer to the river. To account for the baseflow discharge to the Little Arkansas River, the District established and maintains 215 baseflow nodes on the Little Arkansas River. The nodes are spaced 1,320 feet apart and extend from near Medora to Wichita. In areas where the water table intersects or is near land surface, groundwater evaporates from the water surface or through soil pores and transpires from plants with roots that intercept the water table. Presently, about 1,620 wells withdraw water from the aquifer for industrial, municipal, irrigation, recreational and stockwater uses. A myriad of small yielding domestic wells also tap the aquifer. In general, the inorganic quality of groundwater in the District is good and suitable for most uses. However, groundwater contamination from natural and man-made sources has occurred in the District. Oil field brine contamination in western Harvey county has rendered water in portions of the Equus Beds aquifer unsuitable for most uses. In the contaminated areas, chloride concentrations, an indicator of brine, range from 500 mg/l to 8,000 mg/l. Prior to the contamination, chlorides were less than 150 mg/l. Salinity problems also occur in an area along the Arkansas River from Hutchinson to Wichita and south of the Arkansas River northwest of Hutchinson. High iron concentrations are associated with areas where groundwater was contaminated from oil field brine and in the sand dune areas. However, iron concentrations can vary greatly from place to place and at different depths in the same well. Portions of the aquifer in southeastern Reno County have nitrate concentrations that exceed the Environmental Protection Agency drinking water maximum contaminant level of 10 mg/l. Water quality data for public water supply wells in the 100 square mile area shows nitrate concentration exceeding maximum contaminant level since 1967. Groundwater is the principal source of fresh water for most uses in the District. The three leading uses are industrial, irrigation and municipal. There are 1,620 water wells pumping from the Equus Beds aquifer. 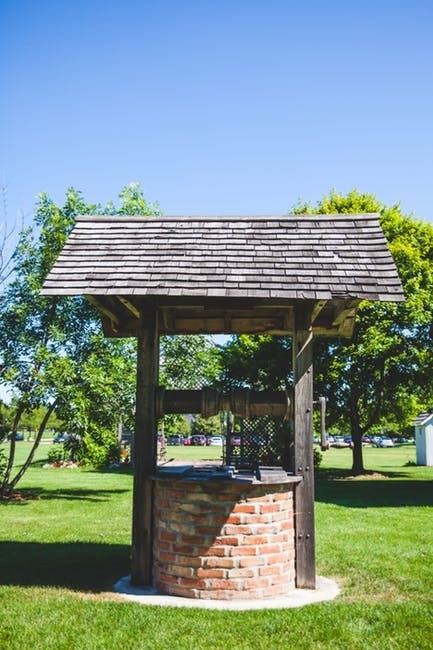 Of these wells, ten percent were industrial wells; 73 percent were irrigation wells; 13 percent were municipal wells; and the remaining four percent were hydraulic dredging, remediation, recreational and stockwater wells. Total usage for the period from 1981 to 1993 has remained fairly constant, except during periods of precipitation extremes. Water usage ranged from a high of 197,651 acre-feet (64.4 billion gallons) in 1991 to a low of 111,690 acre-feet (36.4 billion gallons) in 1986. The average annual usage for the period of record was 157,350 acre-feet (51.3 billion gallons). Industrial usage accounted for about 15 percent of the average total; irrigation usage accounted for 50 percent; and municipal usage accounted for 34 percent. Other uses were one percent of the total average usage. For the period of record, industrial usage averaged 24,462 acre-feet and usage ranged from a high of 28,330 acre-feet in 1989 to a low of 19,690 acre-feet in 1986; irrigation usage averaged 77,921 acre-feet and ranged from a high in 1991 of 110,240 acre-feet to a low in 1986 of 50,210 acre-feet; municipal usage averaged 53,031 acre-feet and ranged from a high of 56,920 acre-feet in 1989 to a low of 44,400 acre-feet in 1986. The centralized geographic location of the area, good transportation routes, availability of substantial quantities of good quality water and reasonable prices for energy, labor and raw materials are factors which are conducive to development of industry. The major industry in Sedgwick County is in aircraft construction and maintenance. Beech, Boeing, Cessna and Learjet each employ over 1,000 people. The second largest industrial group is in health care. In addition, there are 13 other businesses in Sedgwick County with more than 1,000 employees, and there are another 14 companies who employ between 500 and 1,000 persons. Industries in the county for 1990 totaled 10,646. Reno County has four major firms with 300 to 1,000 employees. These include businesses in the food industry, farm equipment, specialty vehicle construction and meat processing. There are numerous smaller firms involved in a variety of activities. The county had a total of 1,641 industrial units in 1990. Power generating plants in both Sedgwick and Reno counties have above average reserve capacities. Harvey and McPherson counties support somewhat smaller industries with major emphasis on manufacturing. These include firms involved in pharmaceuticals, fabricated metal products, oil refining, farm machinery and equipment, and glass products. Industries in Harvey and McPherson Counties for 1990 totaled 758 and 840 respectively. Numerous firms in the area manufacture farm equipment or parts to be used with farm equipment. Others are involved in servicing the agricultural community by way of providing markets for crops and livestock, sources for fuels, fertilizers, seed and other products and services required in a contemporary farm operation. In addition to agriculture and agri-business, other industrial concerns have developed in the area for geological reasons. More specifically, industries related to oil, gas and salt mining have been operated in and around the District since the turn of the century. The northwest region of the District has been and continues to be quite active in the production of salt. Including agriculture related services, mining, construction, manufacturing, transportation, wholesale and retail trade, finance, insurance, real estate, and services, the total annual payroll for industry in all four counties was over five billion dollars in 1990. The District extends over an area of fertile farmland in the lower Arkansas basin, and agriculture is a key element in determining the overall economy. Most of the farms are family-owned. The average size for farms in the four counties of the District was 395 acres in 1991. There is a trend toward fewer farms and farms of larger size. Both trends are expected to continue into the future. Principal crops grown include wheat, corn, sorghums and soybeans. Crop figures reported for 1991 indicate that in Harvey, McPherson, Reno and Sedgwick counties there were 1,394,040 acres of these four crops harvested. Of this total, seven percent or 96,590 acres was irrigated. Other common agricultural land uses include use for oats, hay and pasture land. Crops harvested in 1991 in the four counties represent a $183,324,400 contribution to farm income. Cropland is regularly fertilized and pesticide may be applied depending on need. Livestock production includes cattle, hogs, sheep and chickens. Most of the production is from small farms which results in a rather even livestock population distribution. Feedlots in the District generally have a capacity of less than 100 head. There are several egg production operations, often with an excess of 25,000 layers in each. Farm income from livestock production in the District's four counties totaled $133,804,400 for 1991. Like most of Kansas, the District is subject to a variety of economic factors. Those factors impacting agriculture seem to be most influential. Weather conditions over extended periods or geographic areas, costs of fuel, fertilizer and labor costs, international events influencing prices of commodities and legislative rules all have their impact on economic conditions in the District. The larger cities and, to a lesser degree, the smaller cities have become sites for location of numerous industrial and service businesses. The oil and gas industry has been and continues to be quite active in the region, and salt mines in Reno County make a significant contribution to the overall economy. There are about 17 smaller towns or cities in the District, most with strong agricultural involvement. There are two cities within the District with populations in excess of 10,000 residents: Hutchinson, with a population of about 41,000, and McPherson, with a population of about 12,000. Two other cities lie just beyond District boundaries. Wichita, with a metropolitan statistical area population (which includes portions of Butler and Harvey counties) of 460,000, obtains about half of its water supply from well fields within the District, and Newton, population 16,000, also obtains water from wells located inside the District. Population projections were relatively flat for Harvey and McPherson counties through the year 2030. Projections for Reno County indicate a steady decrease in population. By 2030, population was projected to decrease by 16 percent from its 1995 peak of 61,746. Projections for Sedgwick County, including the City of Wichita, indicate a 21 percent increase in population from 1995 to 2030, an increase of nearly 60,000. The purpose of the Equus Beds Groundwater Management District No. 2 and its Board of Directors is to properly manage groundwater resources of the District for the benefit of the resource and the public interest. The Aquifer Safe-yield Principle and the Groundwater Quality Principle are fundamental to such management. It is the goal of the Equus Beds Groundwater Management District No. 2 to manage the groundwater supplies within its boundaries by balancing groundwater withdrawals with annual recharge to the aquifer to prevent groundwater mining and protect the natural water quality of the aquifer and remediate groundwater contamination. If you are interested in applying for a groundwater permit, District staff can help you in the application process.